After presenting an attractive budget for the year and having it passed, the government has planned to implement several mass development projects through Gam Peraliya, Enterprise Sri Lanka etc, within a few months. 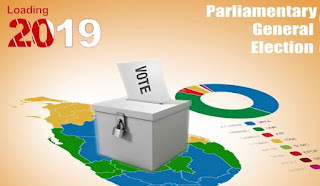 Meanwhile, addressing the Mahajana Eksath Peramuna 22nd Annual General Conference in Colombo yesterday (17), President Maithripala Sirisena said this year a new government would definitely be formed. He said everyone should ask their conscience whether they would vote an extremist party to power or a party that understands the problems facing the country and loves the country. He said it was a timely need for the country to have a government that is conducive to the country. Therefore, he called on all forces to unite in creating a broad alliance in order to relieve the country from its debt burdens and creating economic prosperity in the country.